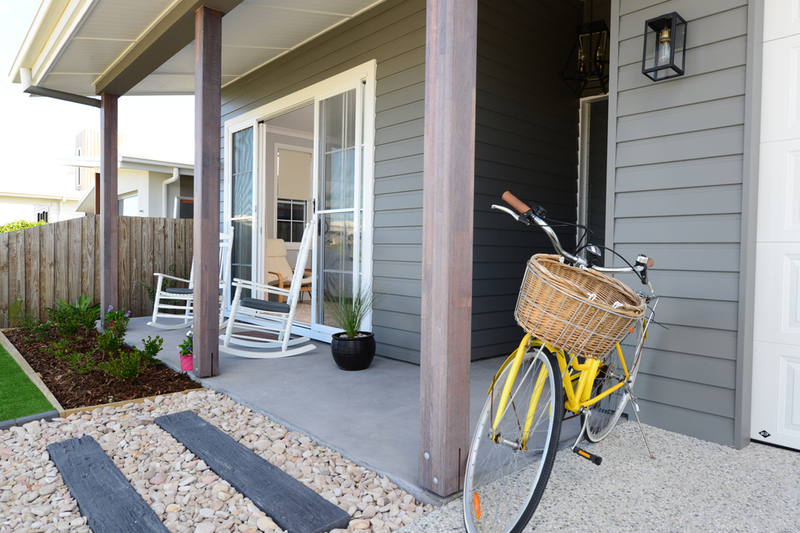 Southern Belle, located at Casuarina is one of our favourite new home builds. Not only because we loved the style of the home (Hamptons) but also because of the client Anna Broomfield, affectionately nicknamed the pocket rocket. Anna loved building her second sanctuary 28 home so much that she is now helping other people with their building journey as a 'New Home' consultant for Sanctuary 28. Sanctuary 28 Tell us about your family, who lives in the home? I am from South Carolina and I married an Aussie 13 years ago in Australia. We traveled the world. Landed in the USA and had our first child Kai. Not long after he was born we returned to the place where we were married Kingscliff and had our second child Grayson. Sanctuary 28 Tell us about Casuarina, what is it about that location that you love? Everything. Sandy toes, southern beaches which you can often find empty for miles, the salt air, the community. A short drive to anywhere cool. 10 minutes to the airport to fly home. Sanctuary 28 Where did you get your inspiration from? tv / magazines /internet etc My childhood, the ideas and images I have in my mind about a home and the need for it to feel welcoming and warm and full of love. Historic houses on the Beaches of South Carolina, the old Queenslander house. Sanctuary 28 What part of the building process did you enjoy the most? Problem solving only to realize the solution turned out better anyway. Working with Don and watching something you have in your mind become a reality. Sanctuary 28 What was least enjoyable? Disagreeing with my Husband, but luckily in the end he just let me do whatever I wanted. Sanctuary 28 Which part of your home is your favourite? I love my rocking chair front porch. My front door, and my bench seat nook in the kitchen. Sanctuary 28 Did you have any help with the design and selections? I had lots of help. I took advice from all but also trusted myself more the second time around. I used Houzz idea-books alot to gather ideas of things I liked. Sanctuary 28 Is there anything that you'd change? The windows in my children’s rooms are not big enough, and I need a few more electrical outlets but other than that no. Sanctuary 28 Would you build again? 100% yes!!! A new home for the Browns! It's not everyday that you get to build a new home for a photographer and we are absolutely loving having her capture and take us on a photo journey of the home building process. In today's blog post we take a look at the progress so far and talk to our client Vanessa about how they arrived at building a new home. Meet the Brown family. We moved from Sydney to Kingscliff 10 years ago and rented a unit while deciding on where we would most like to live! 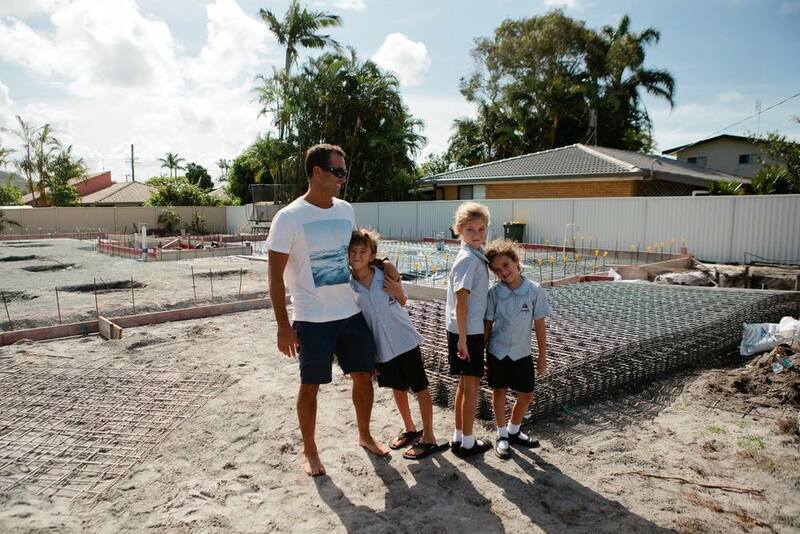 Danny wanted to live within walking distance to his favourite surf break in Cabarita and found a 3 bedroom beach shack in the ideal location! I wasn’t 100% convinced but he assured me we would just live in the house for 3 - 4 years and then we would demolish and build! Nine years on and we have finally demolished that house and are underway with our build! In retrospect I’m glad we waited, the house our Architect Scott Carpenter designed will grow perfectly with our family! Our three children have grown up sharing the same room and more often then not the same bed. They are very good at sharing and compromise. As the demolition loomed, the children were given free reign to create artwork on walls and roller skate in the halls. A great distraction from the major changes that were coming.